Wu Liang Shan is famous for the ancient tea trees growing amidst its forest high up in the mountains. 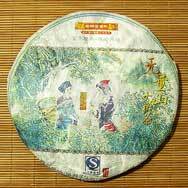 This Da Shu Cha (translates to "Great Tea Tree") tea cake is produced using tea leaves picked from old trees in the Wu Liang Shan tea forest. Due to their height, the tea leaves are harvested by the local minorities there with the help of tall ladders. 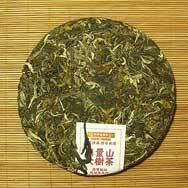 If you like Da Li Nan Jian' Feng Huang Tuo or Bing Cha, you will definitely like this one. As a big Nan Jian fan I found this sheng good enough. Not very strong but aromatic. 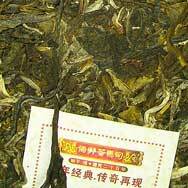 11 years old it´s good semi-aged sheng. Big leaves with fragrance of sweet fruits. Tea is sweet, smooth, fairly mild and pleasant to drink.